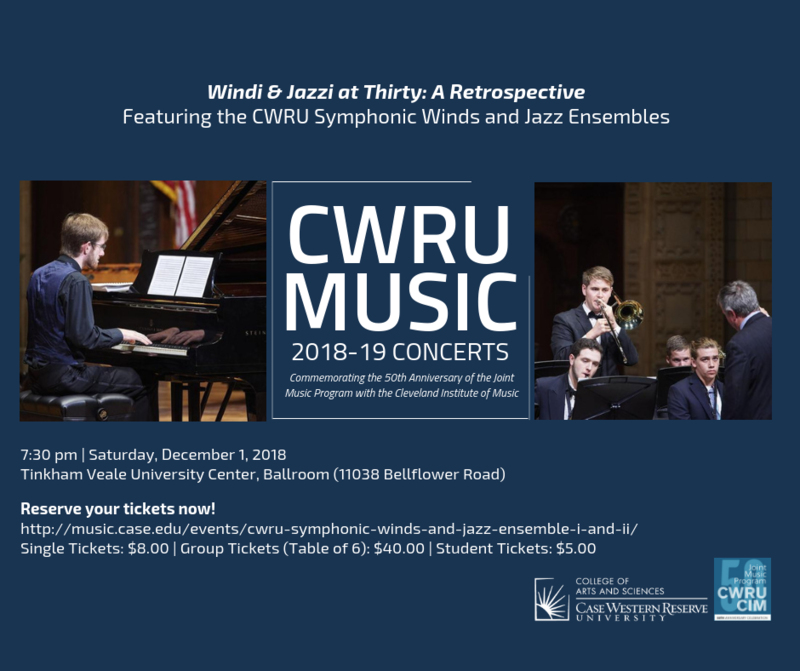 The CWRU Department of Music celebrates the 30th anniversary of this campus tradition that brings together Symphonic Winds under the direction of Dr. Ryan Scherber and both campus Jazz Ensembles led Mr. Paul Ferguson (concert co-founder). Join us as we review the past thirty years with selections from across the decades, featuring soloist Paul Ferguson, trombone. This much-anticipated event will take place in the beautiful Tinkham Veale University Center Grand Ballroom. This is a general admission event. Patrons may choose their seats upon arrival or reserve tickets in advance. Paid parking available in the Severance Hall garage or at the meters along East Blvd and Bellflower Road.